Creates spacey phase-shift sounds that range from subtle to head-spinning. 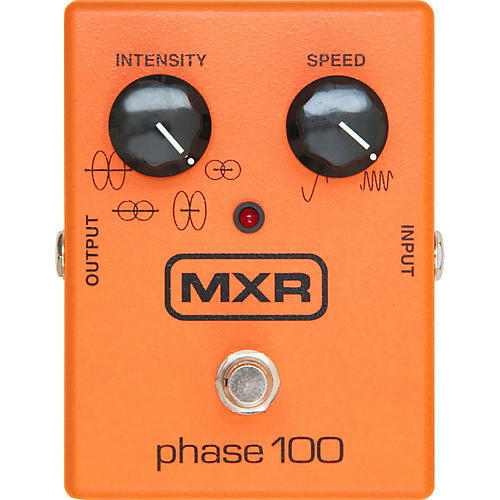 The MXR M-107 Phase 100 guitar effects pedal contains 10 stages of programmable phase shifting plus adjustable intensity for sweep width and notch depth. Controls also provide for regeneration in 2nd and 4th position. Start a whole new phase in your playing...get the M-107 now!